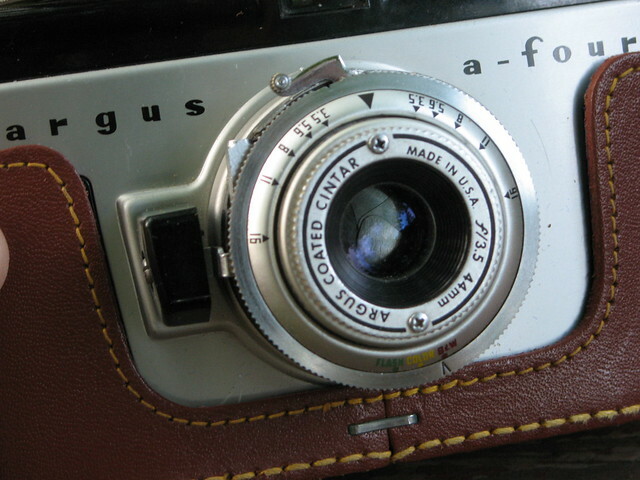 The shots I shared with you on Monday from my Argus A-Four, a bakelite-and-aluminum 35mm viewfinder camera made from 1953-56, led me to look at photos I’ve taken with this camera in the past. The A-Four and I go way back — to 1982, as that’s when I shot my first roll of film in one. I was 14. I’ll share some shots from that roll later, but first, let’s look at what this camera can do. I was surprised and disappointed that the shots I shared with you on Monday were so grainy and lacked sharpness and detail. 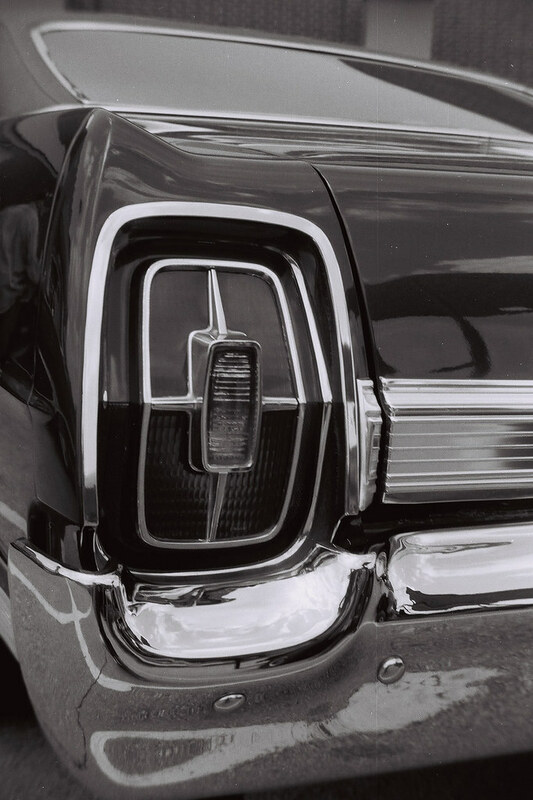 This photo of a 1967 Ford LTD tail light, which I took in 2010, is creamy smooth with rich blacks and solid sharpness and detail. This is what this simple camera can do. Maybe I got better results because I was shooting Fujifilm Neopan 100 Acros, a modern tabular-grain film. The Arista Premium 400 I used for the shots I shared on Monday is an old-style cubic-grain film. Perhaps the modern films make the A-Four sing. 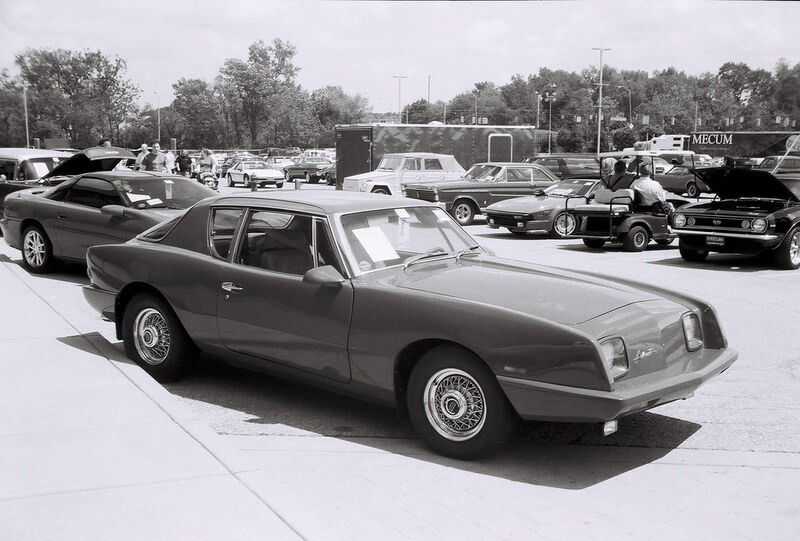 Here’s an Avanti II from that 2010 roll, which I shot at that year’s Mecum muscle-car auction. 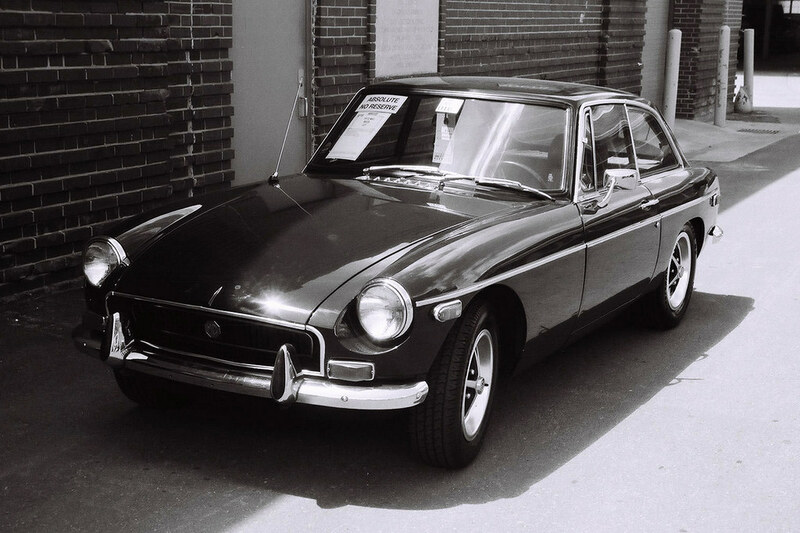 Just one more old car, a 1972 MGB GT, just because these results are so good. I used the Sunny 16 rule to take all of these car photos. 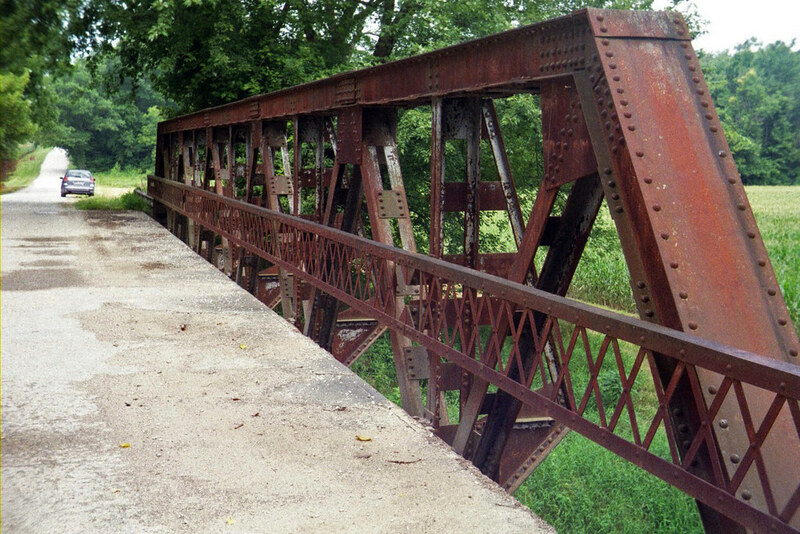 I also took the A-Four along on my tour of Putnam County’s old bridges in 2010. (Trip report part 1 here and part 2 here.) 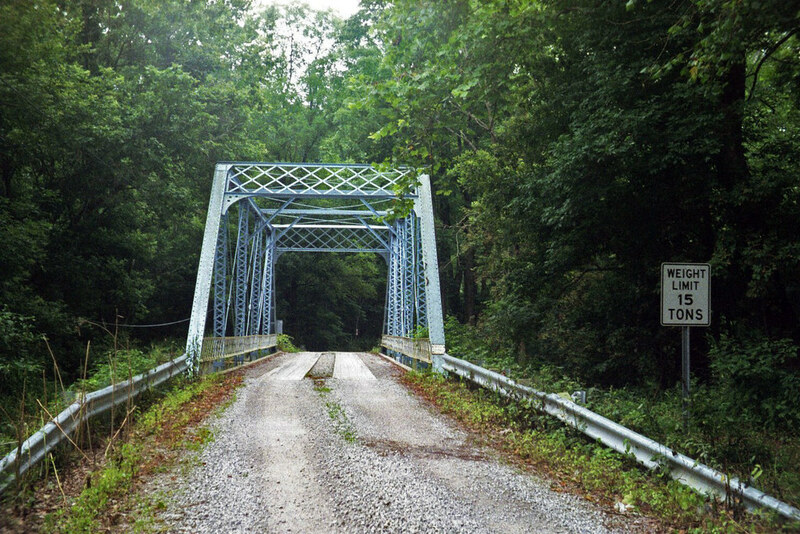 This is the Hibbs Ford Bridge. As you can see, the lens is subject to flare when shooting toward the sun. I forget which bridge this is, but its massive truss is taller than my car. 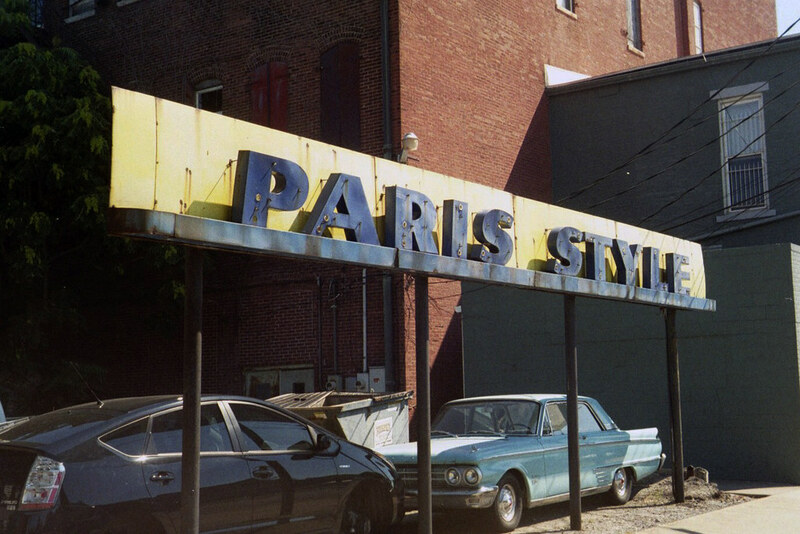 When I toured US 50 in 2010, I found this curious (formerly) neon sign in Seymour. Now let’s step into the Wayback Machine and look at a couple photos from 1984, from the only roll of film I’ve ever developed myself. 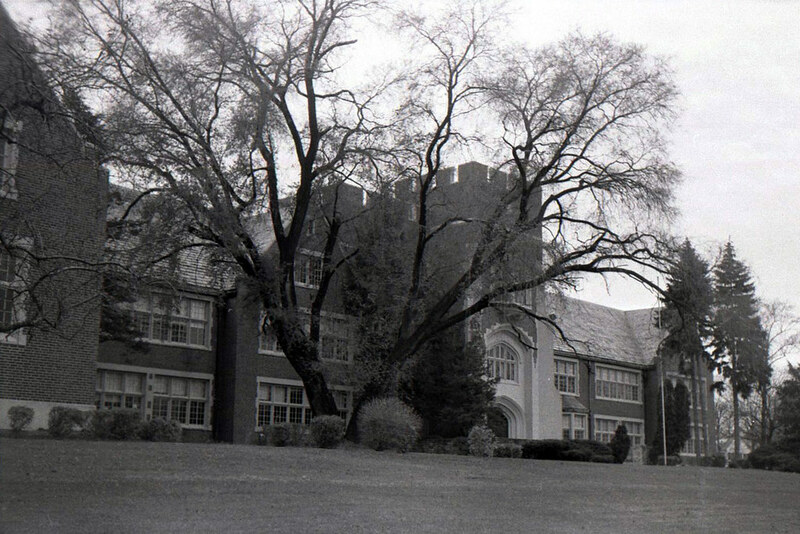 This is the elementary school I attended in South Bend, shot on probably Kodak Plus-X. I shot the A-Four wide open from my childhood bedroom door. 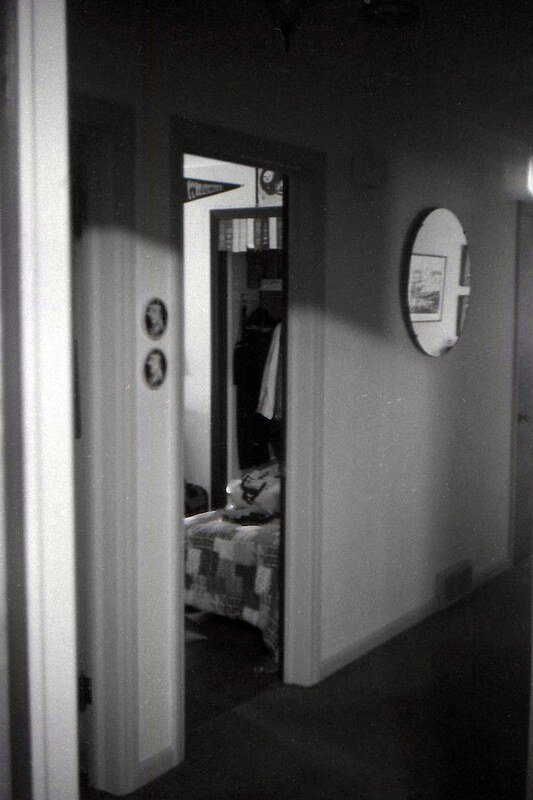 That’s my brother’s room there, and the round mirror was rescued from the Oliver Hotel in South Bend before it was demolished in the late 1960s. And now, the promised photos from 1982. I’d picked up my first A-Four at a yard sale a year or two earlier, and finally loaded some Kodacolor II into it. 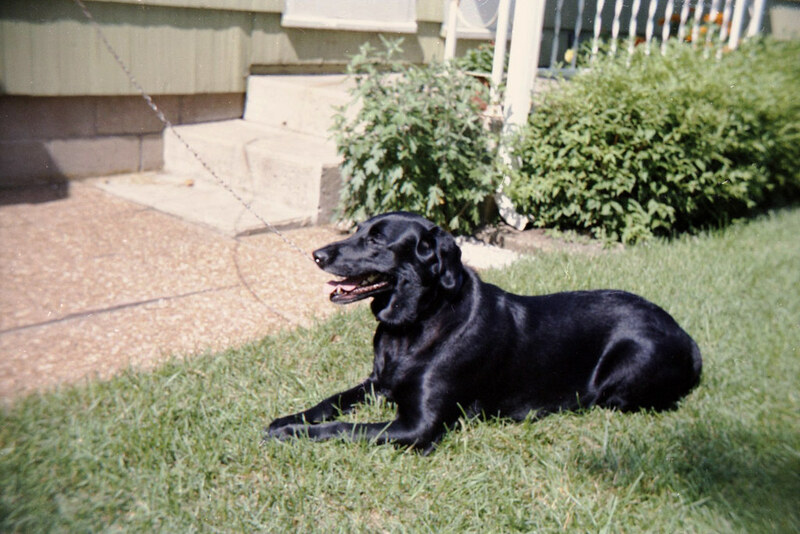 This is Missy, the Labrador retriever we had then, relaxing in our side yard. I was deeply attached to this dog! I had an 8×10 made of this image then, and my dad made a frame for it. It still hangs in my home. 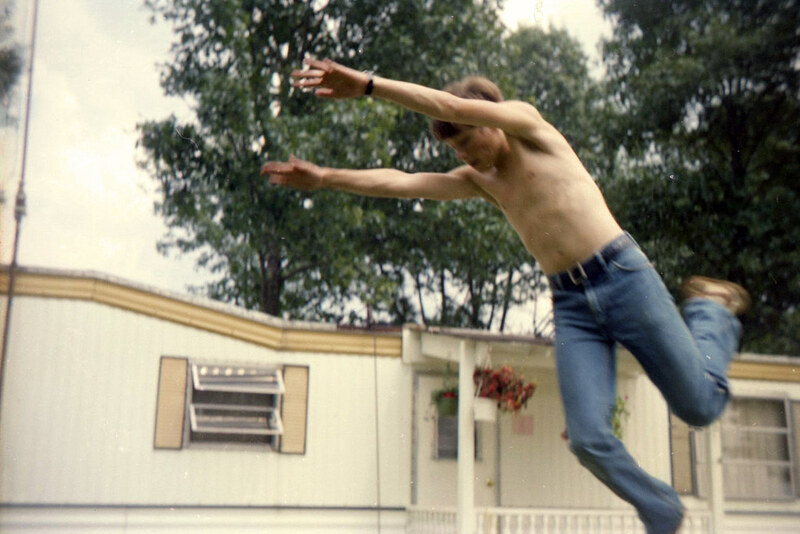 Here’s my brother in midair at my grandparents’ palatial retirement estate in southwest Michigan. He would probably kill me if he knew I published this, so let’s not tell him, OK? I opened the A-Four wide to get this indoors shot of my grandfather. I took few photos of him (and my grandmother, for that matter), and I regret it. My favorite photo of him is this one of him holding me as a baby. 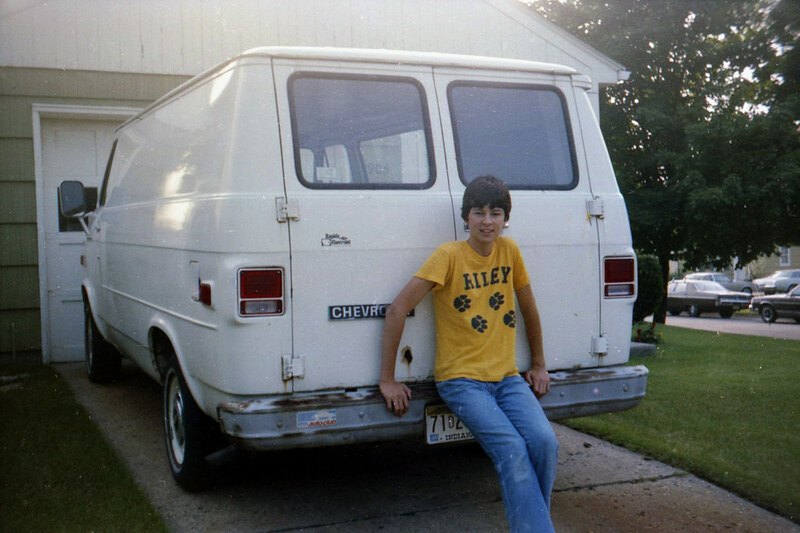 Finally, here’s me leaning on our family car at the time, a big old cargo van my dad bought for the cabinetmaking business he started. I shared this photo once before with a little more story behind it. (I took my first driving lesson in this beast; story here.) Hey, there’s a little more of that into-the-sun flare. By the way, I scanned these 1980s shots with my cheap, plastic Wolverine Super F2D, which did a good enough job. As you can see, the Argus A-Four is a fairly capable lump of plastic. 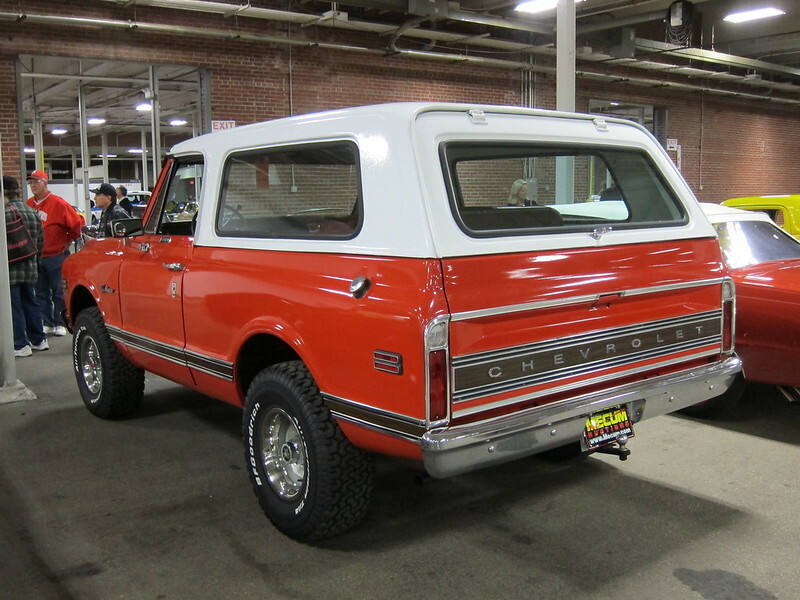 1972 Chevrolet K/5 Blazer CST: Don’t mess with Grandma! I mentioned my grandmother’s big orange Chevy Blazer in a recent post. 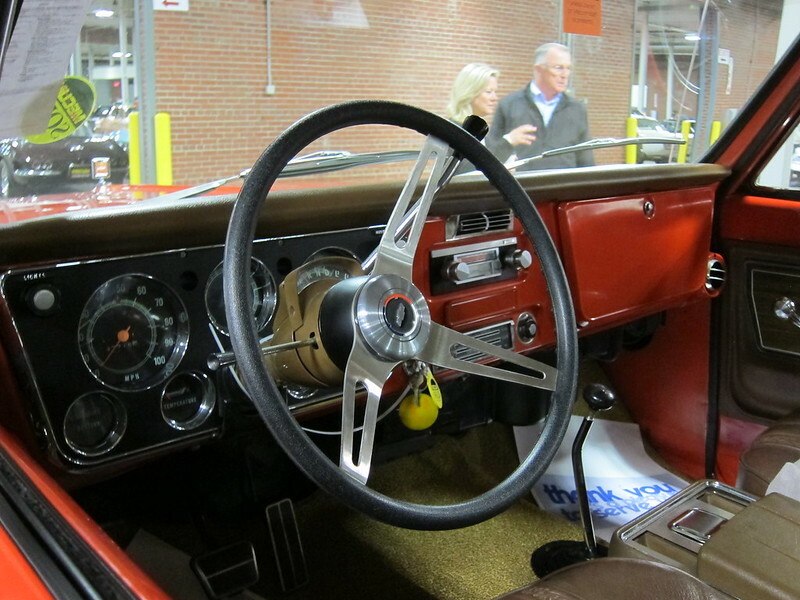 It reminded me of this post I wrote for Curbside Classic a couple years ago, about a pretty close replica of her Blazer that I found at an auction. You didn’t mess with my grandma. She was barely 5 feet tall, but she swore like a sailor and drank like a fish. And she always drove 4-wheel-drive trucks. 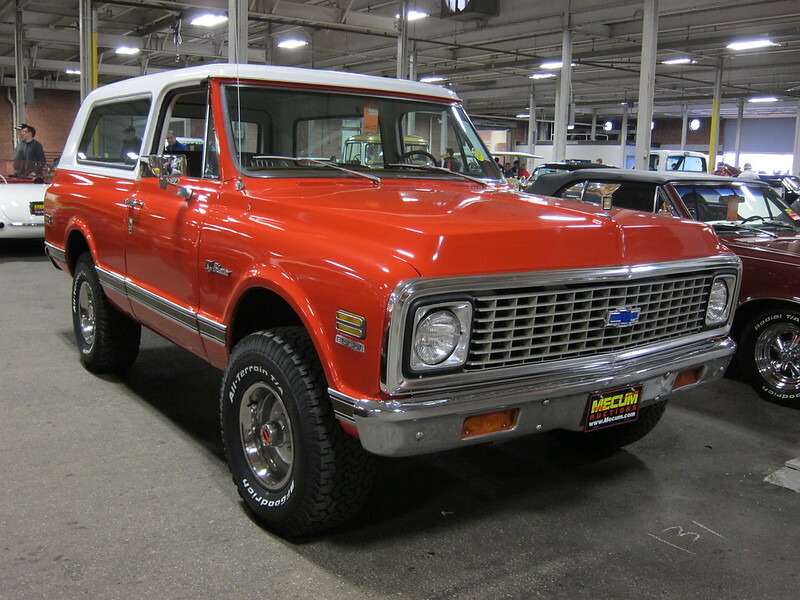 One of them was an orange 1972 Chevrolet K/5 Blazer CST very much like this one. Grandma was so short she had to grab the steering wheel and pull herself up into the cab. That had to really work her biceps! I’ll bet it gave her a mean right cross. But had she ever needed to defend herself, she would have instead reached for the .22 pistol she always kept in her purse. My favorite place to ride was the front passenger seat, and I called shotgun as often as I could. Even though SUVs weren’t common in the 1970s like they are today — we didn’t even have the term “SUV” then — riding around in that seat didn’t exactly give me the rooftop view of traffic that you might think. Grandma lived in rural southwest Michigan, where serious winter snow and unplowed side roads meant almost everyone owned four-wheel-drive trucks. I was used to looking at tailgates ahead as we rolled down the road. Grandma preferred the lightly traveled gravel back roads to the highways, though, and so I got to take in a lot of Michigan’s beauty while riding with her. Even when I had to ride in the high and upright back seat, I had a good view. That seat also sat a good distance back from the front seats, giving unbelievable legroom. I didn’t think much about it at the time, but now I think GM should have moved that seat a foot or so forward to give more aft cargo space. It was pretty tight back there. Grandma and Grandpa had been a one-truck family (a 1972 Dodge Power Wagon, orange over white) until the grandkids started coming to visit for extended stays every summer. Riding four abreast in Grandpa’s truck worked while we were all very little, but as we grew the cab became too cramped and so Grandma bought the Blazer. We ran around all over southwest Michigan together running errands and visiting various taverns for lunch or dinner and, for Grandma and Grandpa, always a beer. I knew then that back home in Indiana I wasn’t allowed in taverns. Maybe Michigan’s laws were different. Or maybe it helped a lot that Grandma and Grandpa seemed to know every law-enforcement officer in six or seven counties. Perhaps Grandma’s smile, nod, and words of greeting to any deputy who stopped in were enough to secure us. We were certainly less uptight about such things forty years ago. After Grandpa finally retired, they sold both trucks and bought a top-trim 1978 Bronco in gold with a white top. 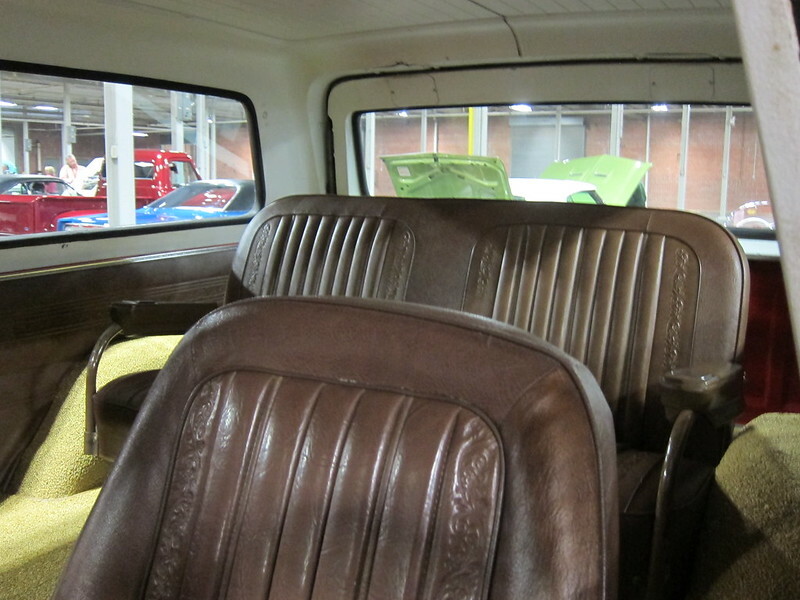 The CST package meant Grandma’s Blazer was top-trim too. 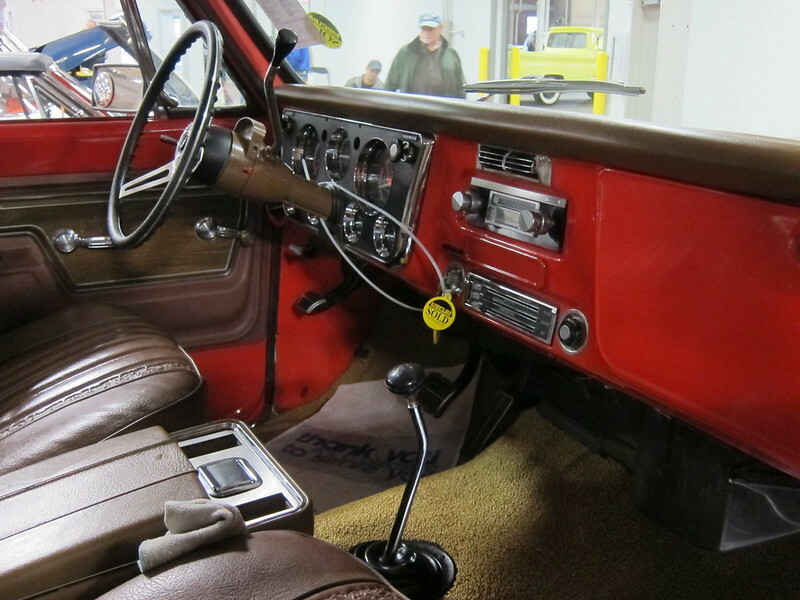 This is what passed for luxury in an SUV in 1972. Today, these big body-on-frame SUVs are all but gone out here in rust country. Every Friday for a while I’ll be sharing songs I love to sing and telling stories about their place in my life. Singing is cathartic for me. I can’t imagine not singing. I do most of my singing while driving, listening to my favorite songs on my car stereo. Grandma and Grandpa retired to a small lake, or rather a big pond, among the cornfields and hog farms in southwest Michigan. It was my favorite place in the world to go. Sitting in the gazebo overlooking the lake, staying up too late listening to stories of the Great Depression, and just running around here and there in Grandma’s big Chevy Blazer; it was a relaxed life. When we were out, we inevitably ended up at a bar for lunch. I guess in 1970s Michigan it wasn’t any big deal for children to go into bars, because I surely spent a lot of time in them. We usually visited The Inn Between, a little joint on the highway at the end of their gravel road, “in between” two villages that highway linked. It was dim inside, with square tables with laminate woodgrain tops, brown padded stackable chairs, a wooden bar with a handful of stools, PBR and Budweiser signs on the walls, a jukebox in the corner. There was a menu, there was beer, there was probably whiskey but I didn’t know much about such things when I was that young. Everybody at the Inn Between knew my grandparents. They’d walk up to say hello as we sat, calling them George and Kath-ern, which apparently is how Kathryn is pronounced in Michigan farm country. A fellow who must have run the place always came over to chat and take our order. My brother and I would order cheeseburgers, and I always got orange Crush, which in my earliest memories still had real orange pulp in it. The fellow would tease my brother and I a little, asking us if we’d like to try the frog legs instead. Our chorus of “ick, ew!” always made the fellow smile, at least until Grandma finally said, “You should try them. They’re delicious.” So we did, and they were, and we ate them often. The Inn Between was on the same lake my grandparents lived on, so sometimes we’d motor over there for dinner on their little pontoon boat. We’d linger. Grandma and Grandpa would chat with the other customers, mostly neighbors, all friends. Grandma made sure our red plastic tumblers were always full of icy Coke, and fed us quarters for the jukebox. In those days, country music was crossing over to the pop charts, and the jukebox was loaded with those songs. It’s where I first heard Olivia Newton-John and Kenny Rogers and Dolly Parton. I played them all, but I liked Glen Campbell the best. I played “Galveston” and “Country Boy” but leaned extra heavy on “Rhinestone Cowboy.” Everybody drinking their beer at the Inn Between must have been glad when we left so they didn’t have to hear it again. But really, I have always favored the sad songs, and so my favorite Glen Campbell song is “Wichita Lineman.” And I have a bonus memory of my dad around this song. I couldn’t have been 10 yet. We sat in dad’s white Matador in the shopping-center parking lot waiting for Mom to come out of the store. The AM radio played the local music station. This song came on, and Dad sang the chorus low, mostly to himself. Dad can carry a tune. And I sing this song when my iPhone serves it up in my car, too, doing my best to channel Glenn Campbell. But I belt it right out, because it feels so good. 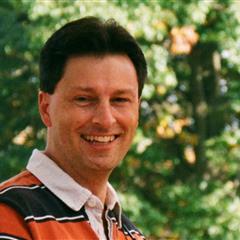 I’ve known for most of my life that I have Potawatomi and Cherokee Indian ancestors. I’ve always felt more connected to my German roots, but I’ve been curious about my Indian side just the same. 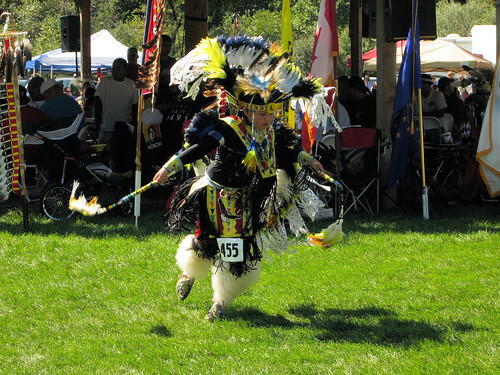 So when the opportunity came up to see a Potawatomi pow wow, I took it. 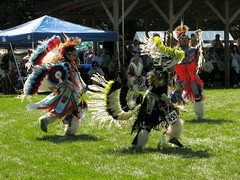 The Pokagon band of Potawatomi Indians (or, as they say, Pokégnek Bodéwadmik), has this pow wow every Labor Day weekend on its land near Dowagiac, Michigan. 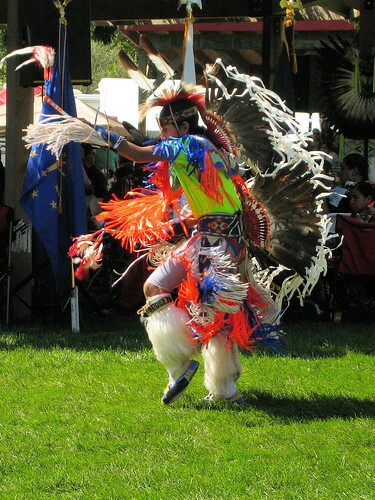 Potawatomi from all over gather to dance and sing and celebrate their heritage. It’s also an opportunity for many tribes, not just Potawatomi, to sell handmade goods. Of course we checked out the booths, and I even bought a colorful piece of pottery. But the dancing was where it was at. This young lady’s feet barely left the ground as she danced. It is supposed to symbolize her connection to mother Earth. In contrast, this flamboyant fellow really twisted and twirled, his fringe always flying. Wait, what? 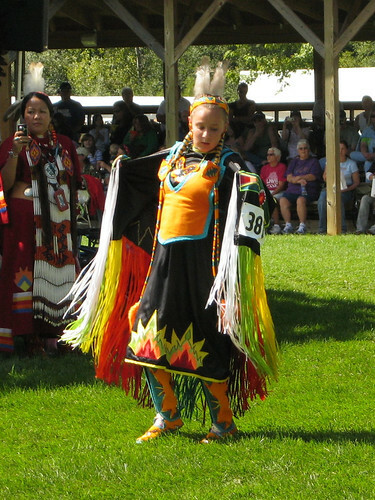 A blonde-haired Potawatomi dancer? 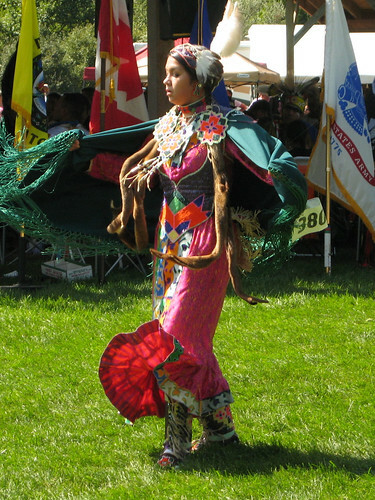 I soon figured out that the more elaborate the regalia, the more active the dancing. I’ve always thought my Potawatomi ancestors came from my mother’s mother’s family, but I’ve been mistaken. Talking about it in the car on the way home, Mom said that her mother’s family had Cherokee ancestors, but Grandpa’s grandmother was full Potawatomi. 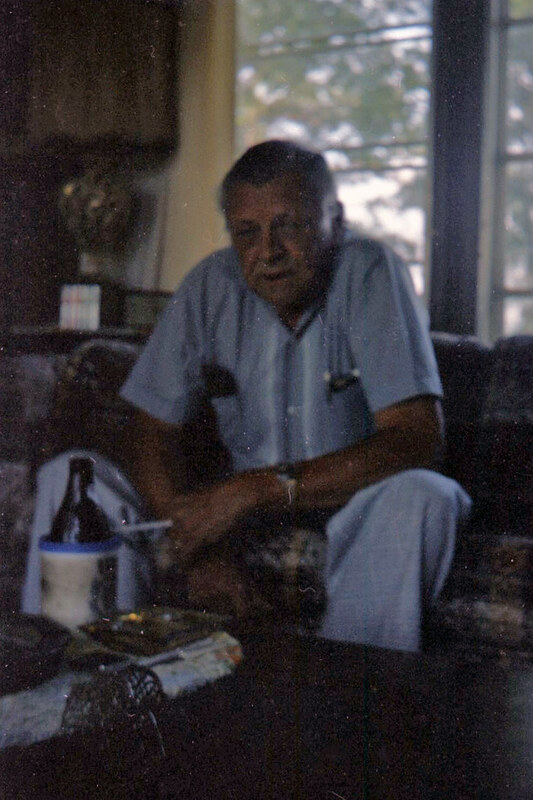 That made Grandpa a quarter Potawatomi, but you never would have guessed it as he looked like he came straight off the boat from Germany. Even though I’m just one sixteenth Potawatomi (and probably an equal measure Cherokee), I look far more Indian than my grandfather ever did. Last year about this time I attended the rededication of a monument to Potawatomi chief Menominee. Check it out.